We’re excited to bring two new products to the classroom that we think give students (and teachers) more opportunities to be creative and all new ways to engage with school work. 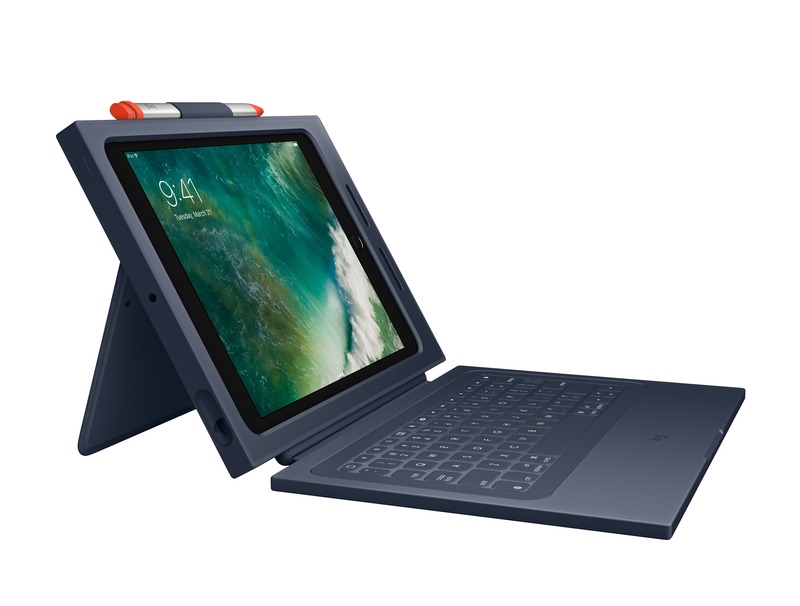 Logitech Crayon and Logitech Rugged Combo 2 for the new iPad (6th generation), are specifically designed for the classroom. Logitech Crayon takes advantage of new technology in iPad and provides an affordable solution for education so students can do even more including handwrite notes, illustrate projects and draw diagrams. Priced at just $49.99, Logitech Crayon is the first digital pencil designed for use in a K-12 classroom, and leverages technology found in Apple Pencil to deliver sub-pixel precision, low latency and support for tilt in a design that’s perfect for students. iPad features palm rejection technology and can tell the difference between Logitech Crayon and a hand resting on the display so students can write and draw naturally, just as they would with traditional pencil and paper. Logitech Crayon works with an incredibly wide variety of apps and software already used in classrooms, including Apple’s updated Pages, Numbers, and Keynote, Microsoft Office and Explain Everything, giving students the ability to take handwritten notes, add sketches, diagrams and illustrations to projects, markup PDFs and more. Designed for the classroom, Logitech Crayon connects to the new iPad instantly without pairing and its easy-to-grip flat surface prevents rolling, reducing the potential for accidental drops. With an 8-hour battery life, the Logitech Crayon can go a full school day before it requires charging. The smart tip of the digital pencil is pry-resistant and only removable with a special tool, while the rubber cap is tethered, so it cannot be easily misplaced. Designed with input from educators, administrators and IT specialists, the updated Rugged Combo 2 case and keyboard combo, priced at $99.99 is designed to take on daily wear and tear inside K-12 classrooms. To ensure the highest levels of protection and durability, the Rugged Combo 2 protects iPad from bumps, scratches and drops of up to four feet. The detachable keyboard has been redesigned so the keycaps are pry-resistant in order to prevent keys from needing to be replaced. The thoughtful secure-sealed design is spill-resistant and the keys are silent so as not to distract surrounding students from their work. Powered by iPad, teachers never have to worry about charging the keyboard. It also pairs automatically with a single click and offers a row of short-cut keys, making it simple for students to access commonly used functions like volume, media controls and print screen. Both products will be available later this summer. For more information, please visit www.logitech.com/edu/ipadsolutions, and if you are interested in purchasing either product for your school, please visit apple.com/education/purchasing/.